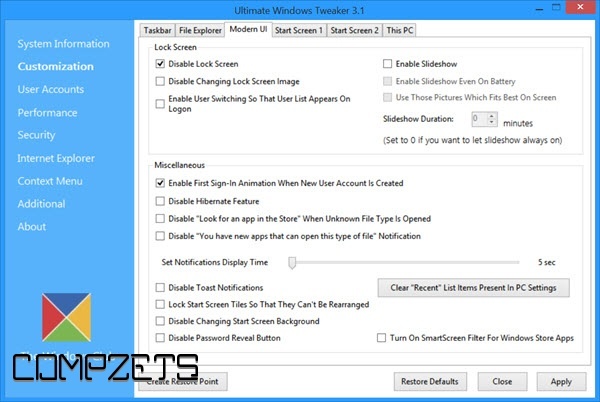 Ultimate Windows Tweaker for Windows 8 is just 340 KB in size and includes over 170 tweaks. This version has added several new tweaks for Windows 8.1, and removed some tweaks, which were really not meaningful or suitable now for this new polished operating system. UWT 3.0 sports a clean minimalistic UI just like UWT 2.2, offering links in the left panel, and tabs on the top, in some categories. 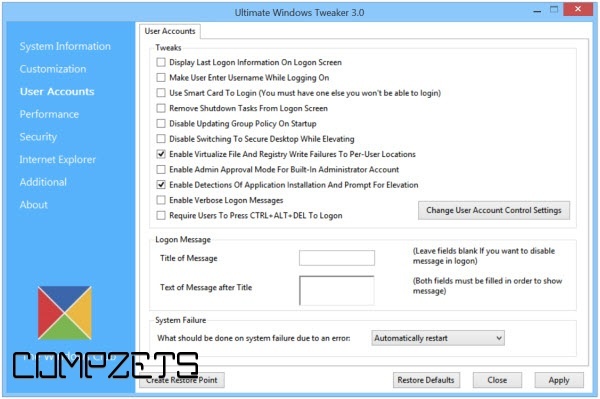 While you may be able to access all these via the Windows 8.1 UI or the Group Policy or Registry Editor, Ultimate Windows Tweaker makes things easier for you by offering all useful tweaks from its single UI. So consider it as a Tweak UI for Windows 8. 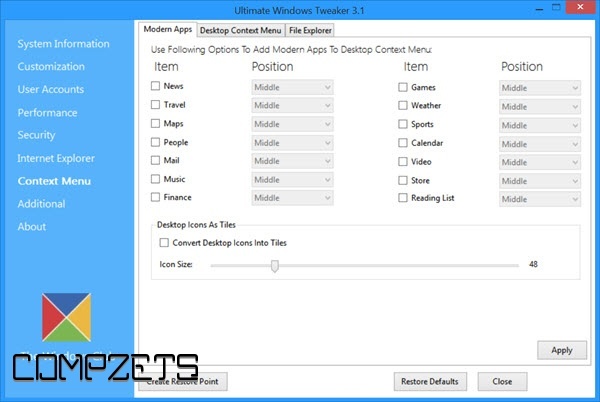 You can have a look at the tweaks available in Ultimate Windows Tweaker. Report Bugs by simply using the button in the About tab.